I’ve finally finished up my series on the First Person Walkers of 2012. Ending on the last of the three that I played and the one I honestly had the hardest time writing about: Proteus. I don’t know if it’s the fact I don’t play that many open world games and thus don’t have the proper critical vocabulary to discuss them or what. 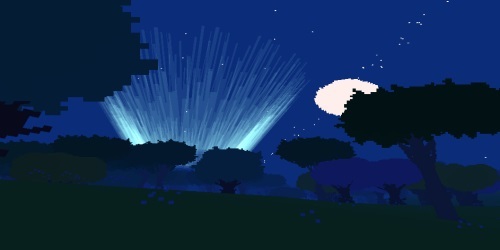 I like Proteus. It’s restful. I end up closing my eyes and just lightly rest in my chair. Not really napping, just resting. I don’t know how the piece came out. Maybe I should have just done a basic close reading of the game instead. One part that I really like that I wish I could expand upon properly is the idea of the First Person Walker as a reductionist genre. Where you take standard AAA game genres and boil them down until you’re entire interaction is based in walking and looking. It gets to the heart of storytelling methods of them and brings those elements front and center. Anyway, read my thoughts on Proteus and tell me what you think.